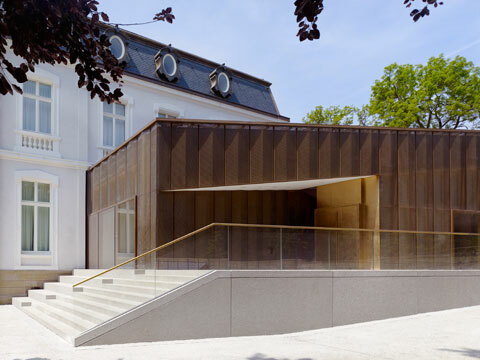 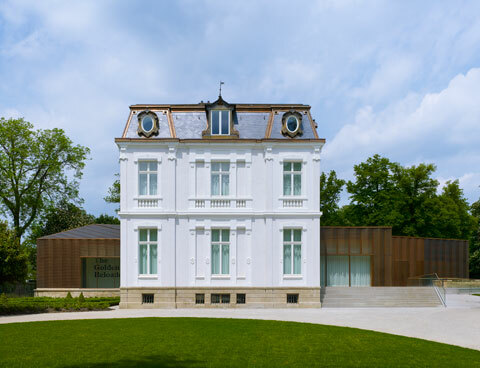 Ever since 1959, the historicist Villa Vauban in the green belt of Luxembourg City has housed the Municipal Art Gallery. 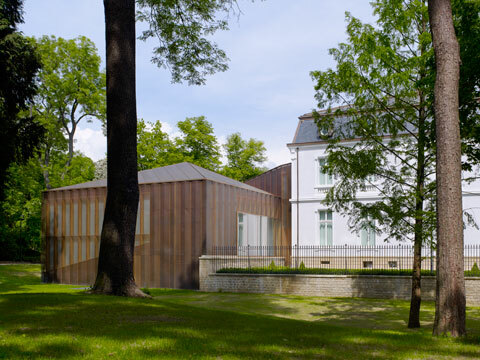 The city opted for the necessary museum modernization and a spatial extension, even though the reach of the public park restricted the scale of the expansion. 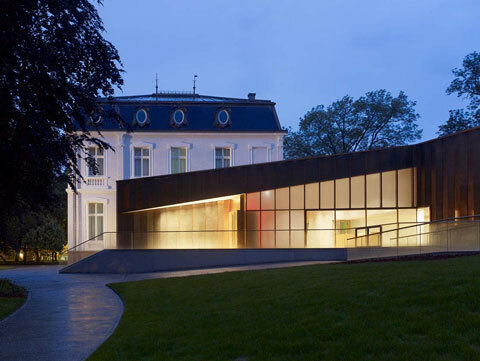 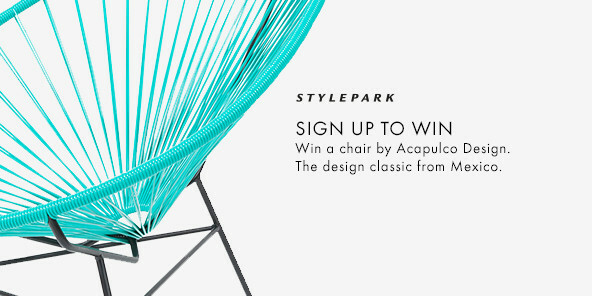 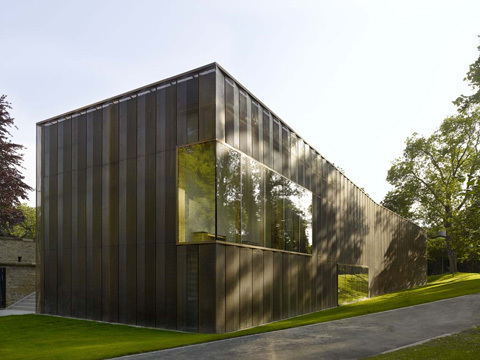 The architects Diane Heirend & Philippe Schmit has been involved with the annex since 2002. 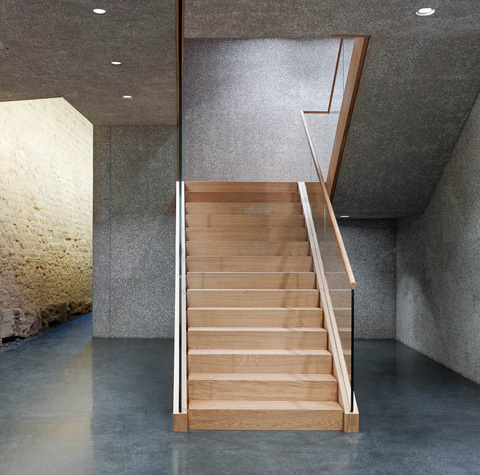 As half the volume of the annex is located underground, he has succeeded in almost quadrupling the exhibition space while simultaneously respecting the historical and ecological situation. 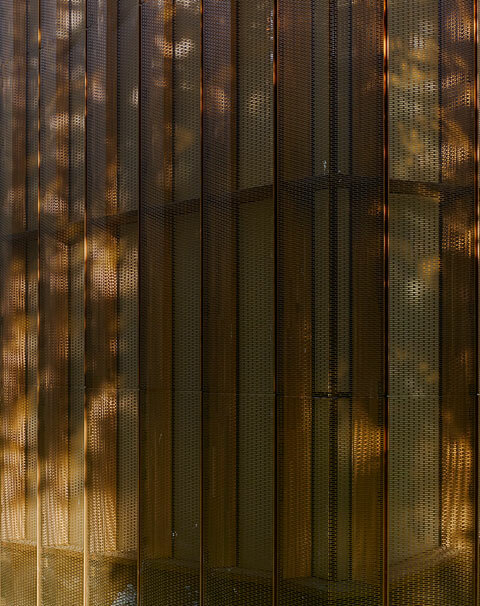 The horizontally perforated iridescent metal facade shining in reddish gold brown shades reflects the park's surroundings. 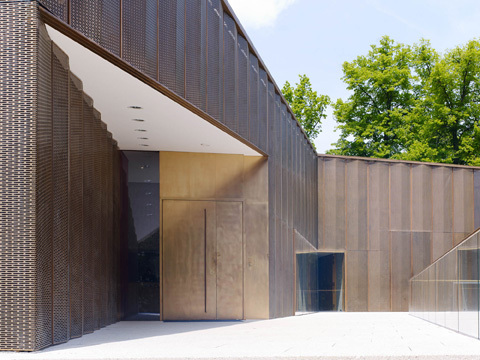 The translucent metal facade made of red brass produced by KME is folded in obtuse angles and toys with the sunlight striking it and the shadows of the trees. 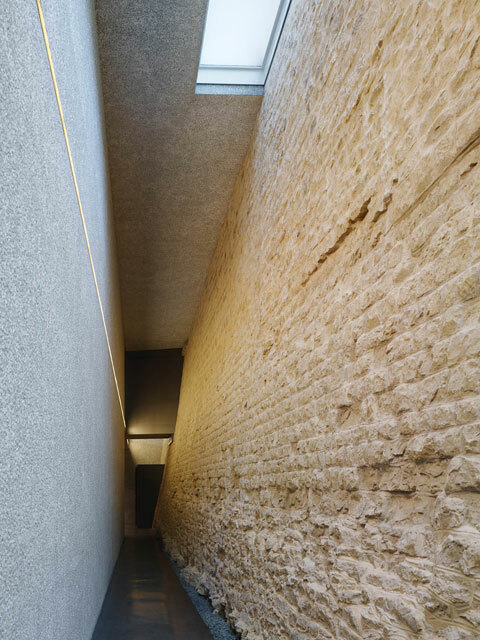 This textured quality of the surface conveys lightness and coherence with the surroundings. 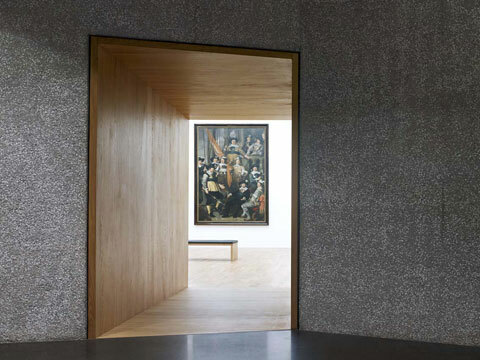 The two lines of rooms on the ground and basement storeys of the annex with the doorways located one behind the other emphasize the representative and public character of the exhibition rooms. 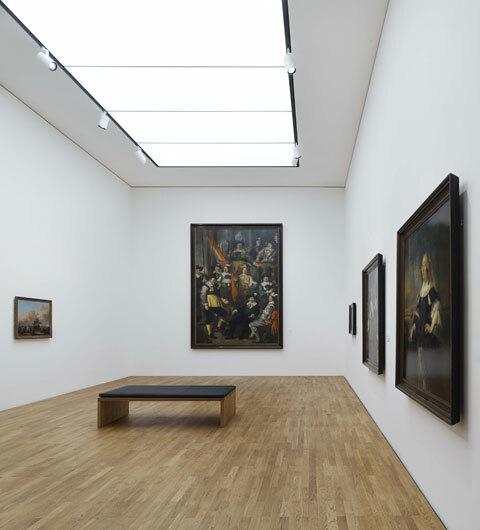 The clarity of the rooms is underscored by the simplicity of the materials used and the details (stained oak parquet, oak jambs, dummy joints in the transitions between the walls and floor and ceiling). 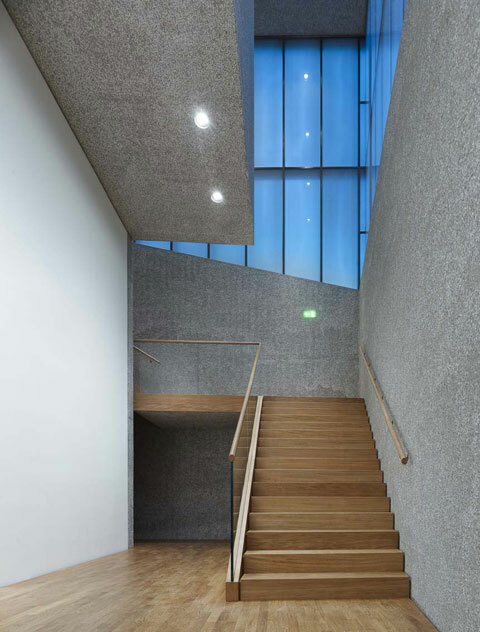 Without doubt concrete is the most important construction material inside. 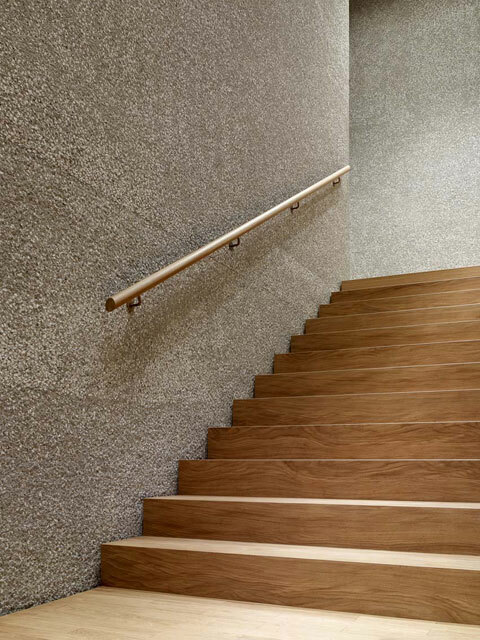 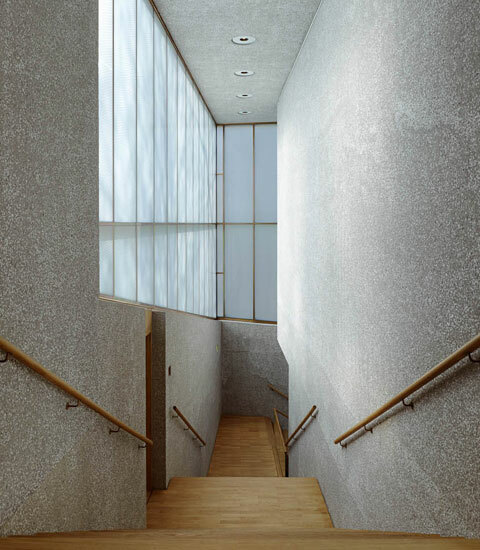 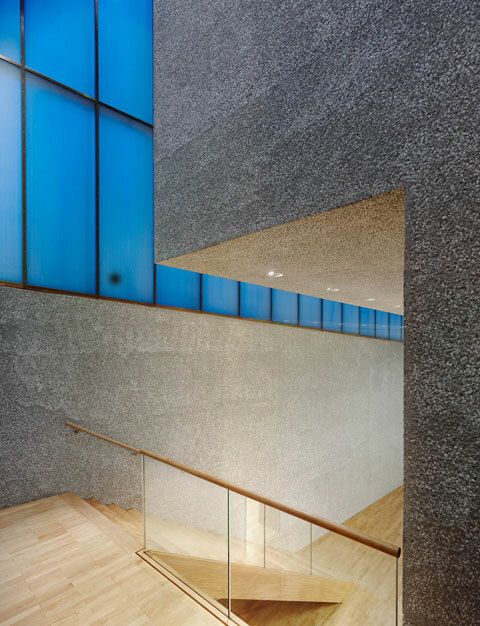 Rather than the walls being clad, the fair-faced concrete is given a special surface treatment: All the surfaces were stabbed using a granulating hammer such that small bright quartz stones shine out over an extensive area. 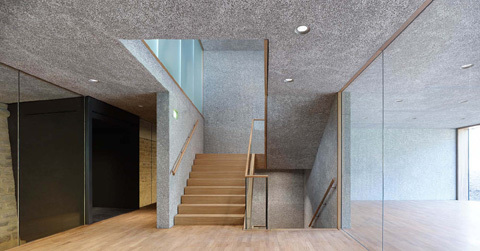 In particular, in the foyer and in the children's studio the concrete volumes appear massive and sculptural as if worked out of a large volume rather than being the product of shuttering. 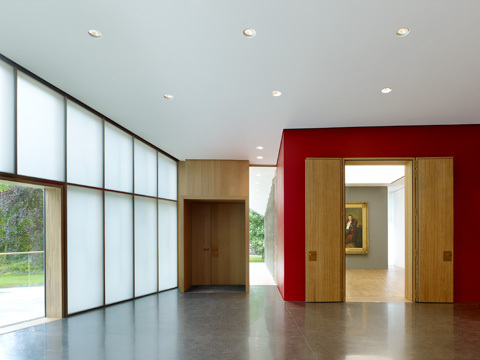 In a subtle contrast, the translucent glass facades of matte-etched flint glass, which with their flush profiles of red brass create a diffuse and even distribution of light in the exhibition rooms and corridors.